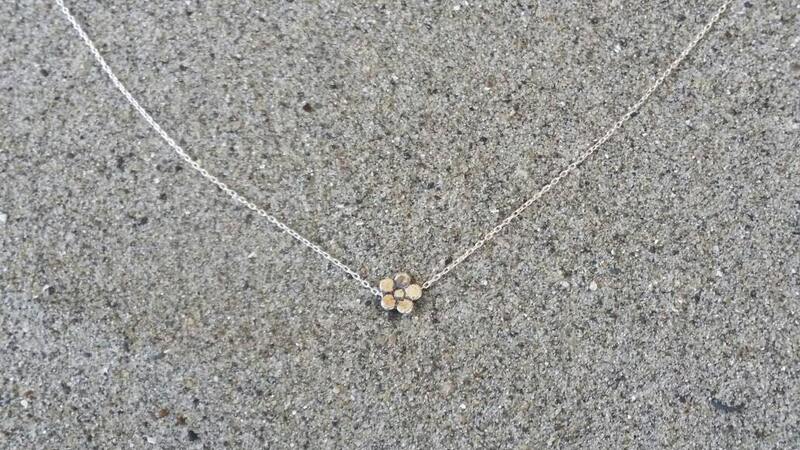 Our tiny flower necklace is solid sterling silver with a smooth shiny finish. 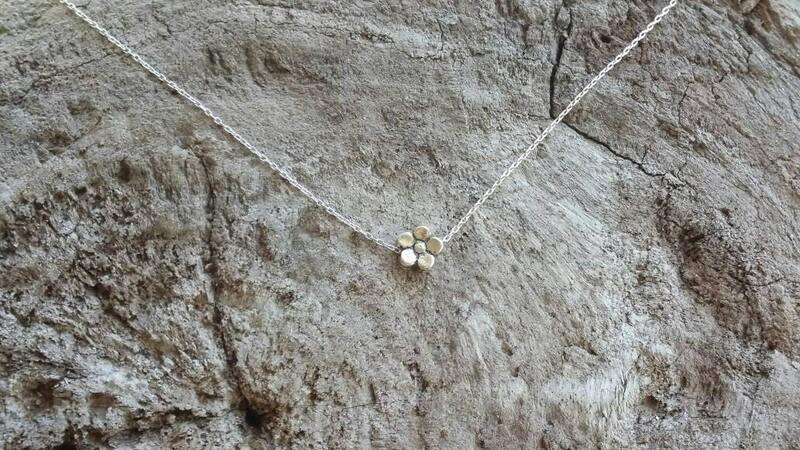 It hangs from a small but strong sterling silver chain with a sterling spring clasp. 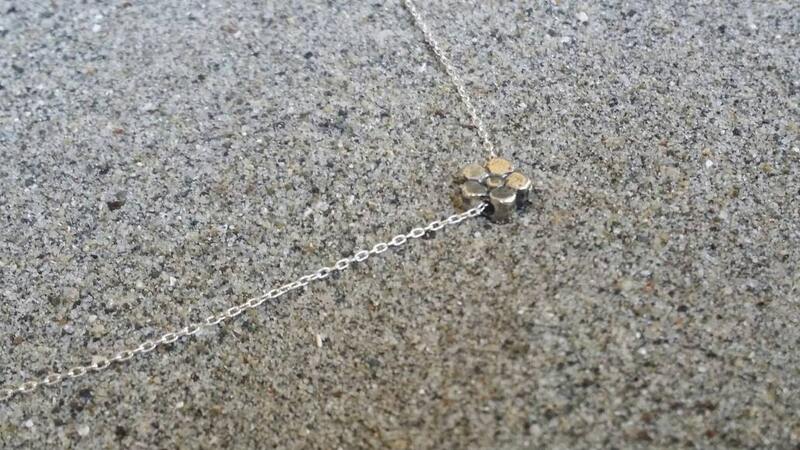 The flower measures 6mm x 6mm and shown here on a 16" chain. The necklace was perfect!!! Love how dainty it feels and looks. Shipping was super fast too!! 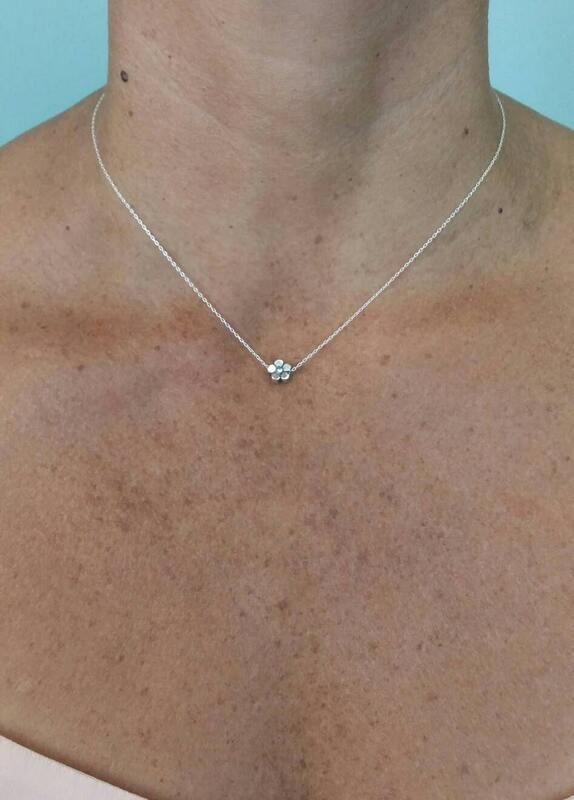 My daughter's exact words were "I want a dainty little silver necklace" for Christmas. I found this and ordered it. It is perfect. Wonderfully made. She Absolutely loves it. Very nice quality. Fast delivery. Will definitely buy from this seller again. Thank you! Really like it this necklace. Have gotten alot of compliments. I gave it a 4 star because it flips around..doesn't stay flush to the skin..otherwise very cute!